So when I first made the switch from Windows to macOS a few years back, one of the gripes I had and can imagine many other people having too is the absence of a stand-alone basic graphics or painting utility application. While Apple kind of pioneered such apps on personal computers with their Macintoshes shipping with MacPaint, the scenario has been quite different since the last 3 decades with MacPaint seeing its last release in 1988. Today we take a look at 5 different paint app for mac; whether you are someone who has been missing MS Paint on Mac OS or just looking for a basic painting app, this list is for you. 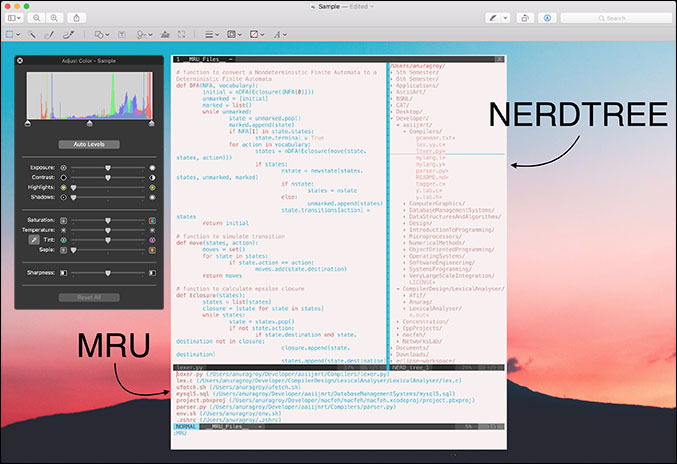 Before even hopping on and suggesting a bunch of third-party apps, I wanted to shine some light on one of the most underused and under-rated native apps on Mac OS: Preview. While I was on the hunt for a paint app, Preview managed to seriously surprise me with its capabilities. 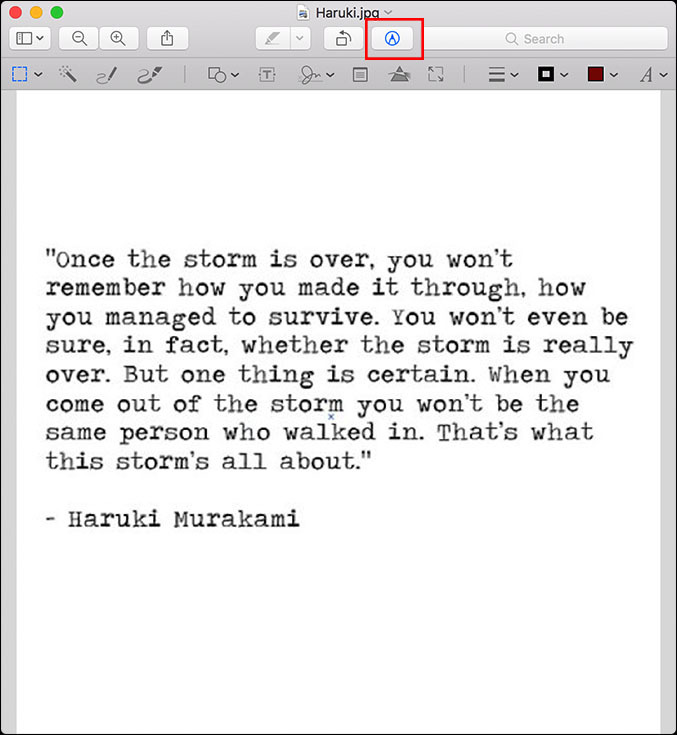 To get started, open Preview and open up the image you want to edit or simply open the image with Preview directly. Next show the Markup Toolbar by the clicking the icon shown below. You can now find a whole host of editing options from simple sketching and drawing to insertion of various shapes and text and even adjusting image parameters like exposure, contrast, sharpness and a lot more. 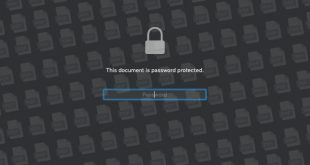 You also get the ability of adding a signature or signing your PDFs from Preview itself, image size formatting and text formatting options. Although Preview has a lot to offer, it may not be the perfect replacement for some as it does not allow you to create new image files which is its biggest setback. 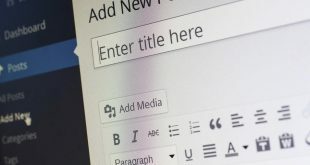 Quick Tip: Be sure to first make a copy of your image before editing with Preview, as it automatically saves all your changes and it could be really hard to revert back if you have already saved the image. Paint Brush for Mac OS is like the perfect replica of MS paint. The app is quite bare bones and extremely easy to use, offering just the basic functions of a paint application. Unlike Preview, in this app you can create a new document and this is the first thing you are greeted with, on opening the application and you can state the size of your canvas. It offers all the basic functionalities just as MS paint like pencil, colour fill, shapes, text, magnification and also a colour picker tool which comes in very handy. It also supports most image formats including JPEG, PNG, BMP, TIFF and GIF. Paint Brush is also very fast to open and get work done with and will be perfect for doing some small editing or painting stuff in a jiffy. 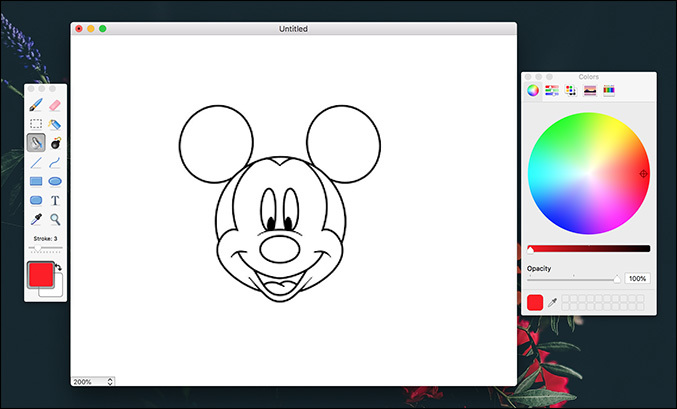 Seashore is a free, open-source paint application for Mac OS built entirely in Cocoa. While the UI might seem a little dated, the app has a lot of tricks up its sleeves which makes it an upgrade to Preview or Paint Brush. SeaShore introduces the concept of layers, just like you have in Photoshop. The layers work like sheets of acetate stacked upon each other and the transparent areas allow you to see through to the underbidding layers. This allows you to create different layers for different effects and adjusting the effects separately or deleting them separately, thus providing easy management. Seashore has a nifty gradient tool where you can specify the direction and strength of the gradient. Some other features include alpha channel editing, texts with sub pixel rendering and textures. 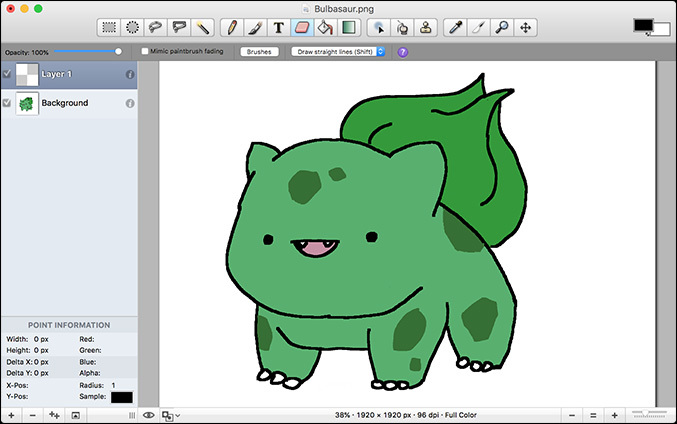 Quick Tip: Another free and open source alternative is Pinta, which is also cross platform and an exact clone of Paint.NET on Windows. If you didn’t know, Wine is an awesome and efficient way to run native Windows applications on your Mac and the best part about it is that unlike Bootcamp or VM installations, it does not require a windows license and does not add that overhead. 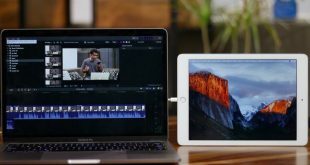 The setup process can be a little tedious, but it is definitely rewarding as you can run most of your Windows apps on your Mac. Play On Mac is a third party tool built on Wine, which we recommend for installing Windows applications on Mac OS. Just download Play On Mac and all the dependencies required for Wine and then you should be able to install any Windows app of your choice. To install Paint, go to Install Apps > Graphics > Paint and hit download. 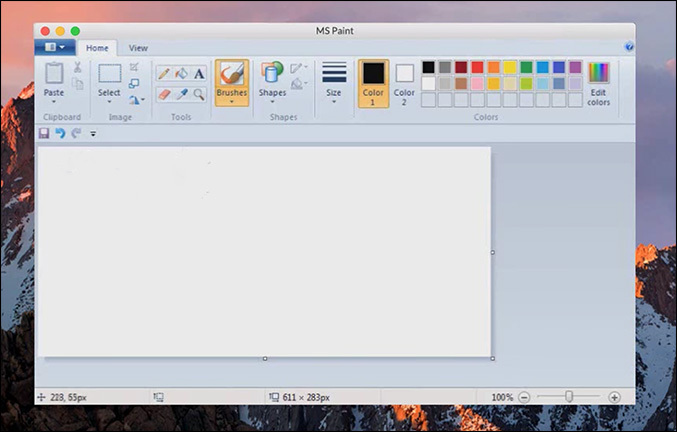 MS Paint should be installed on your computer and it works just as good on any Windows PC. Quick Tip: Although Wine is much less intensive or involving than Bootcamp or a virtual machine running Windows, it still takes up a lot of space with its dependencies and adds overhead. So we recommend this method if you are someone who is planning on using more Windows apps on your Mac or just cannot do without MS Paint. While MS Paint is mostly about simplicity, it doesn’t hurt to include a feature packed app for all the power users out there. As I said, by no means should Pixelmator be considered a basic app as it is far from that, having a boatload of options, effects and features. Pixelmator also offers layers with the option of layer styles presets where you can either use a predefined preset or save your own custom style preset. It also has retouching tools, colour correction tools and a real-time effects machine along with all the drawing and brushing tools. It even sports iCloud support and the ability to publish your pictures directly to social media. 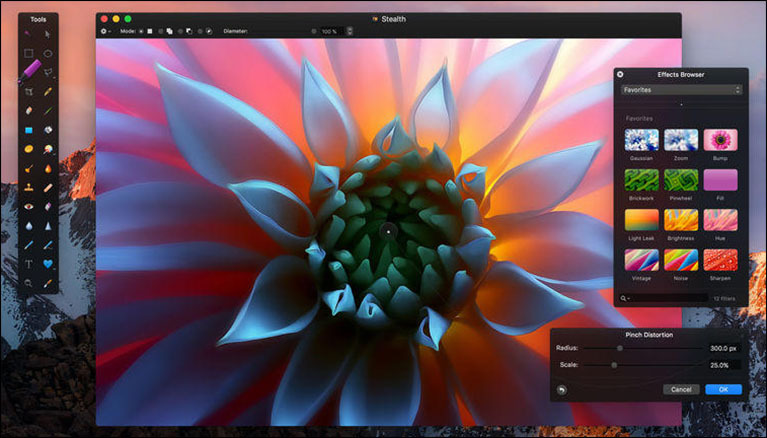 What makes Pixelmator stand out from all the other professional graphic utility apps, is its flexibility; while it does have a lot of features, one can also just use the brush or pencil tools to doodle anything just as they would in any other paint app. The app is not at all overwhelming even for a beginner and strikes a perfect balance between simplicity and productivity. If you do not mind spending $30, Pixelmator is a keeper. Mac OS doesn’t come with any paint app but that doesn’t mean that there is a dearth of paint apps on Mac and it is quite the opposite. But before downloading any third party app, we highly recommend checking out Preview and checking whether it fulfills all your needs or not. Paint Brush is an awesome simple and easy to use paint application while Seashore is slightly more complex with the addition of layers. Pixelmator is one heck of an app with all its features, but it is very flexible and you can use it as an MS paint replacement to a cheaper Photoshop alternative. And last but not least, if you need to use a lot of Windows apps, Wine is your best bet to get MS paint running on your Mac. So this was our list of the Microsoft Paint for Mac. Which one do you use daily or did we miss yours? Let us know in the comments below.